MP3 players are our generation's walkman. It's not uncommon to see young kids to aging adults sporting one. From the 60GB Apple iPod Photos to tiny 128MB units scattered all over electronic shop bargain bins, there is a MP3 player for just about anyone. 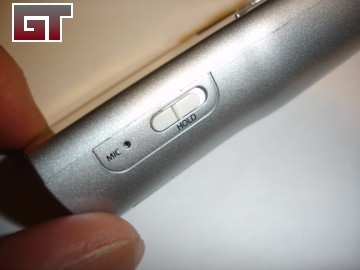 Depending on your lifestyle and usage, choosing the perfect MP3 player can be a tricky process. We have our eyes set on something not too large and not too small. Let's see what a 1GB model from Sandisk that's built for people on the go can do. 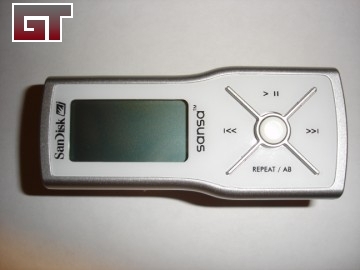 "The Sansa m200 Series MP3 players add to SanDisk�s growing line of products for the audio market. Created by the leaders in flash memory, this flash-based model provides high-quality digital music playback at an affordable price. As a replacement to our original Digital Audio Player line, this improved look also includes Sansa�s excellent navigation: songs sorted by title, artist, album, genre as well as playlist support. The Sansa m200 Series MP3 players are one of the first to provide Microsoft PlaysForSure Subscription support. The line comes in four capacities: Blue at 512MB, Silver at 1GB, Black at 2GB and Slate Blue at 4GB. The player can also be used as an external storage device to carry important data and transfer it to another PC." Supports Microsoft PlaysForSure Downloads and Subscriptions. Support for MP3, WMA, and DRM WMA and Audible file formats. Comes with sleek carrying case and armband to protect your player and keep your hands free. The package includes the player itself, earbuds, clear plastic case, elastic armband, USB cable, driver CD and manual. From initial impressions, all the extras in the package are great except for the short USB cable. 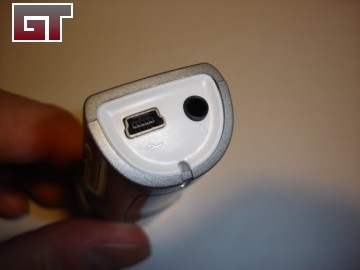 If you do not have a USB port on your front panel, you will most likely need to do some exploring in the back of your case to get to your Sandisk MP3 player. All your needed buttons are located on the front of the player. Play/pause, previous/next track, repeat/random and select. 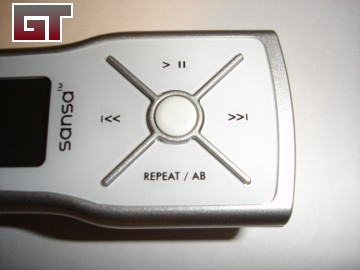 On the left side of the player is the mic and a useful hold switch. The hold switch prevents you from accidently pressing on the buttons on the front of the player. Anyone on the move will like this feature as it prevents you from pausing or skipping your current song. On the other side is the menu button and volume toggle. The menu also acts as the power up and power down button. 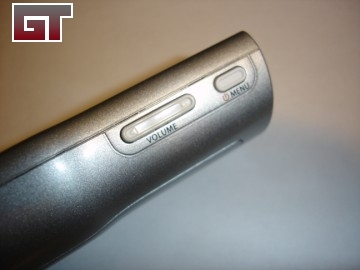 After power on, it also acts as the master button to get into the menu to change from playing your songs, switching on the FM radio and other functions of the player. You can press and hold the volume toggle to adjust the level or tap it to get the precise volume you want. 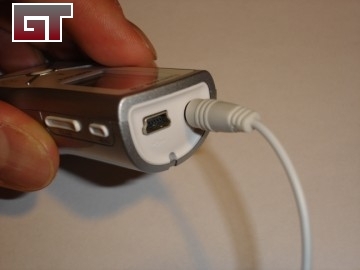 The top part of the player is where the USB port and 3.5mm stereo jack. 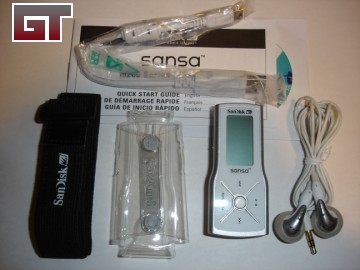 The Sansa m240 uses only one AAA battery. 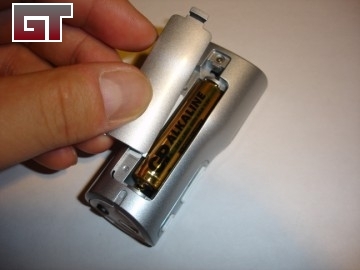 Press down on the tab on the back and pull to reveal the battery compartment. The included earbuds come with foam cushions that wrap around the ear piece. 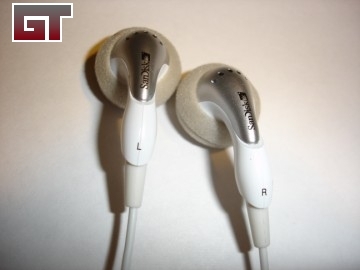 The L and R lettering indicates which ear the buds go into. I noticed the 3.5mm connector that plugs into the jack is not long or wide. 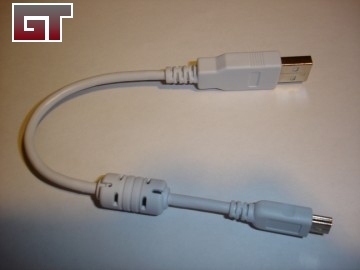 Often times the longer the connector the easier it is to snap or break the jack.